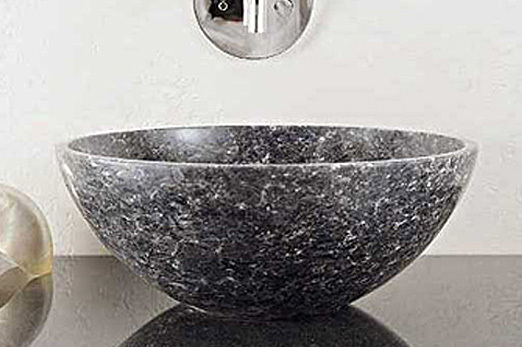 Highly polished inside and out, circular shaped with deep bowl. Top edge thickness of 16-18 mm. Could be installed under vanity. Shown in Blue Pearl Granite.